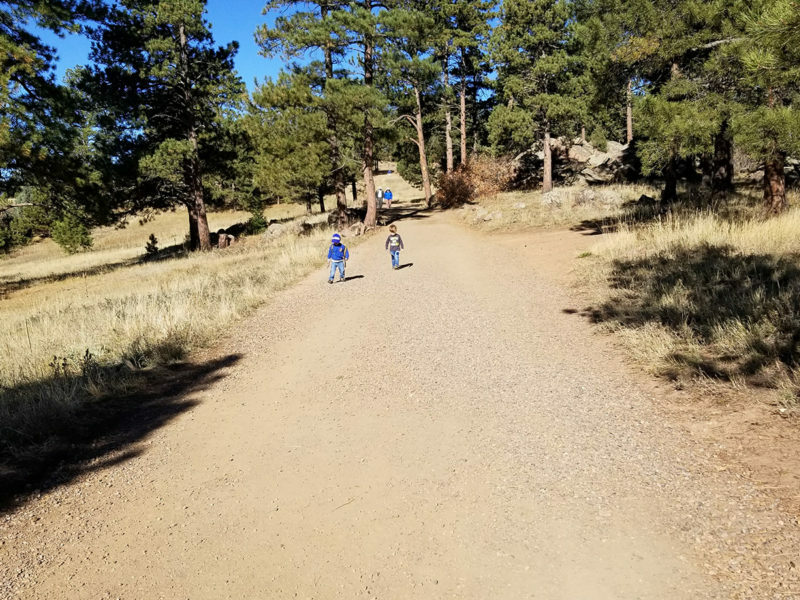 Mt Falcon has so much to offer! There is a whole network of trails to hike as little or as much as you want. There is a combination of sun and shade so this park is great all year round. The views are amazing from all of the trails, you really can’t lose here. 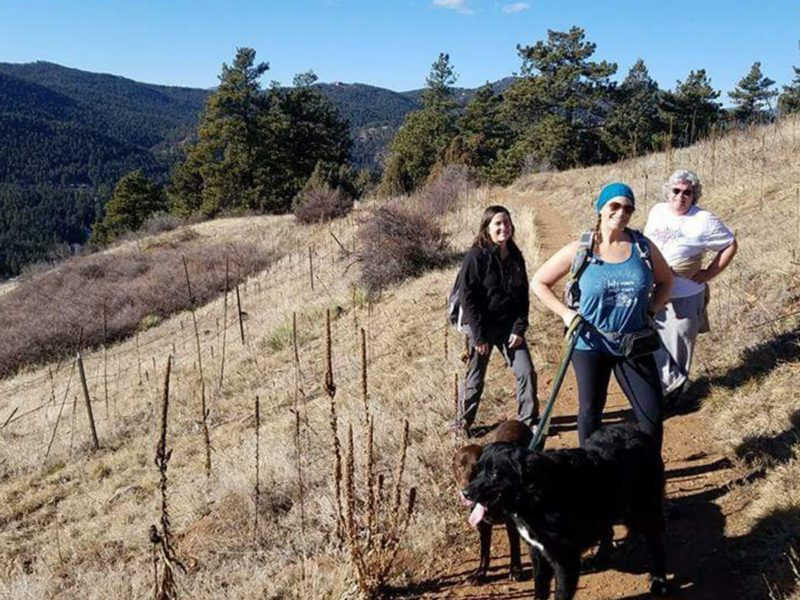 Parmalee Gulch is a favorite loop if you’re looking for 3-4 miles and little more challenging hike. Gorgeous views! 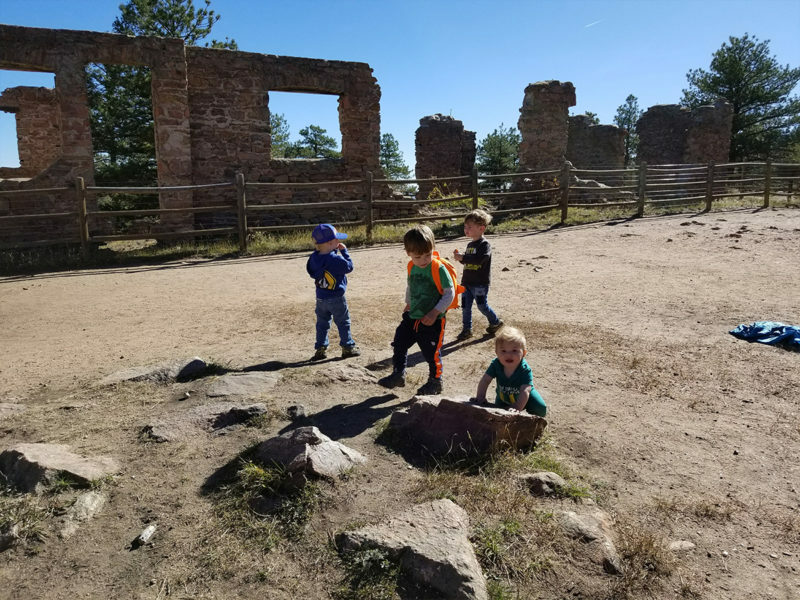 Castle Trail will take you to old “castle” ruins, this is a great option for little kids who may need to stop for snacks/rest/exploration. The ruins are .75 miles from the trailhead which makes this hike a very manageable distance for little hikers. This trail is also very stroller friendly. 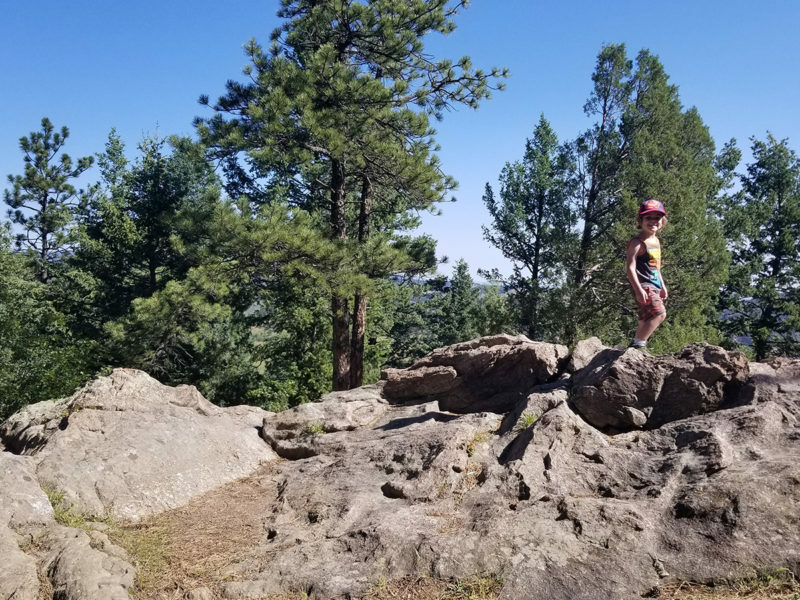 Two dog trail, Devil’s Elbow and Tower Trail will add some more elevation and distance if you’re looking for a push. 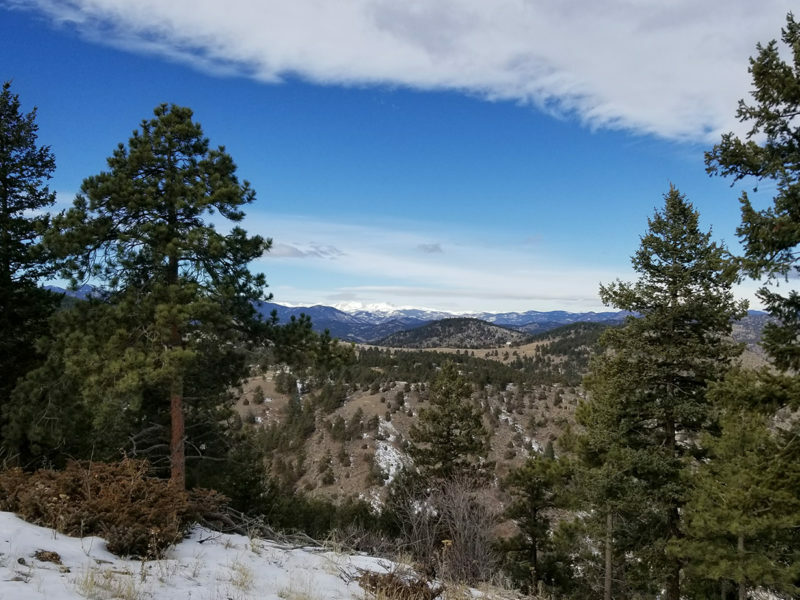 Mt Falcon has something for everyone and is a great place to take visitors for views, but there are some hills right from the beginning so take it slow and expect a climb at some point during your hike. 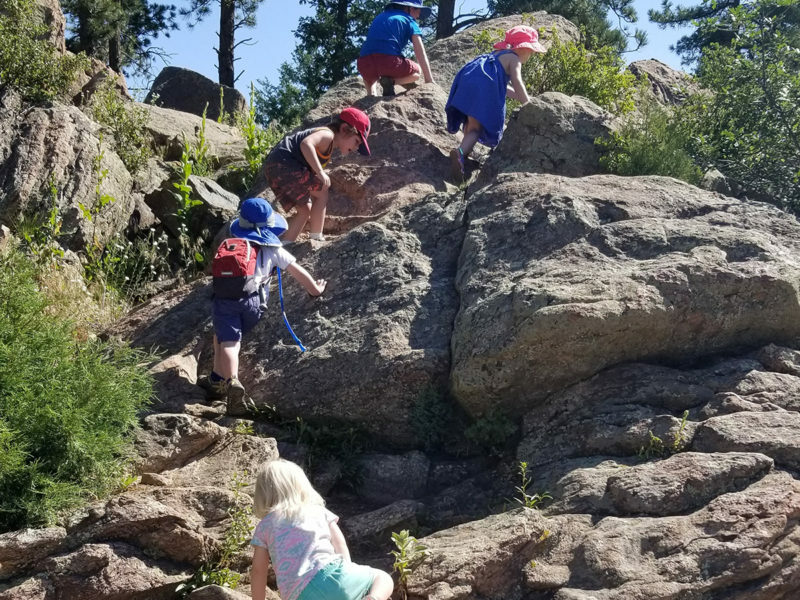 There are lots of rock outcroppings perfect for little climbers. There are covered picnic tables for snack time with little trails in between for exploring. 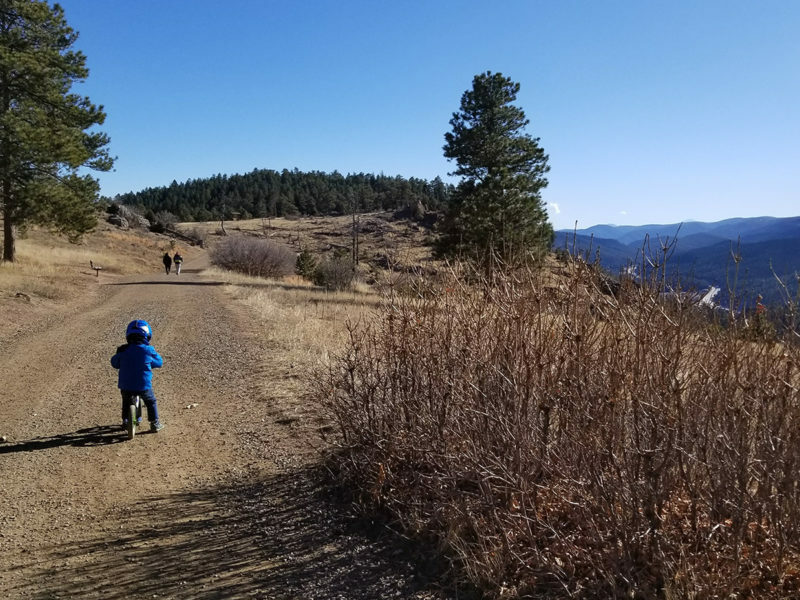 This is also a great choice for bringing balance bikes, just stay close to the trailhead unless you want to potentially carry your kiddo and their bike up the large hill just before the “castle”. There are two parking lots, either are fine to park at but the top parking lot is at the main trailhead. These can fill up on the weekends. Take hwy 285 to Parmalee Gulch Rd and follow the signs to Mt Falcon. You will see signs at some point on your right.